We’re turning our campers into entrepreneurs! 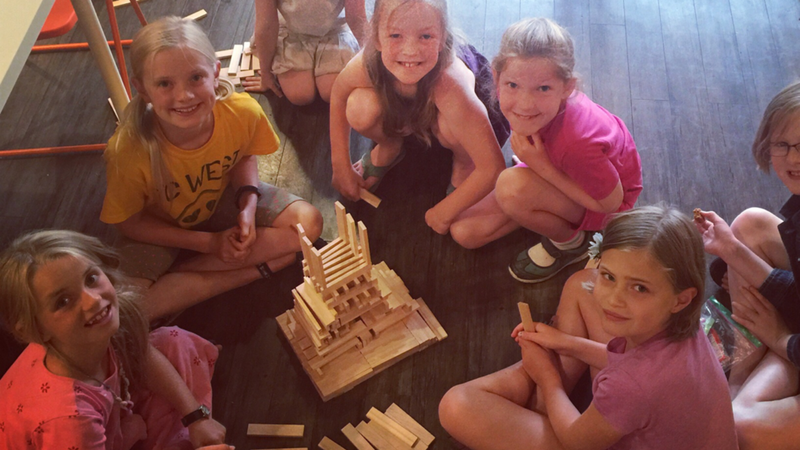 Professor Qwbli's Spring Camp offer unique opportunities for kids to develop their cognitive abilities, as well as motor functions and important life skills such as patience, cooperation, concentration, teamwork, perseverance and leadership in a setting that is just plain fun! It's an opportunity for them to let their imaginations run wild, explore their passions and discover new ideas. This year we are bringing some exciting new twists to our camps with many elements from of our most popular programs, such as TRAPPED! inside Professor Qwbli's, Young Inventor Workshop, Maker's Lab, Soaring Science, Sharp As A Tack and Professor Qwbli's Cardboard Challenge. The skills developed in these programs are those of entrepreneurs, innovators and change makers. This year's camp will focus on entrepreneurship. The campers will be creating a cardboard carnival featuring arcade-style games. The campers will be creating marketing and promotional pieces, including invitations, posters, a website, a press releases and promotional videos. Our Spring Break Camp will culminate with Professor Qwbli's Cardboard Carnival on Friday, March 29th that will be open to the public! Lunch is included. Bottled water is also included. Parents are responsible for snacks. Campers are more than welcome to bring their own lunch! Professor Qwbli's is a NUT-FREE zone, so please pack accordingly. Please have campers dress in layers. Weather permitting, we will be taking the kids outside! An extra outfit is encouraged. Camp t-shirt is also included!